Element Flats offer much more than your average studio apartment. Here you will find these apartments boast a spacious feel with the finest amenities so that your apartment is practical and luxurious. Enjoy the convenience of the in-unit washer/dryer. 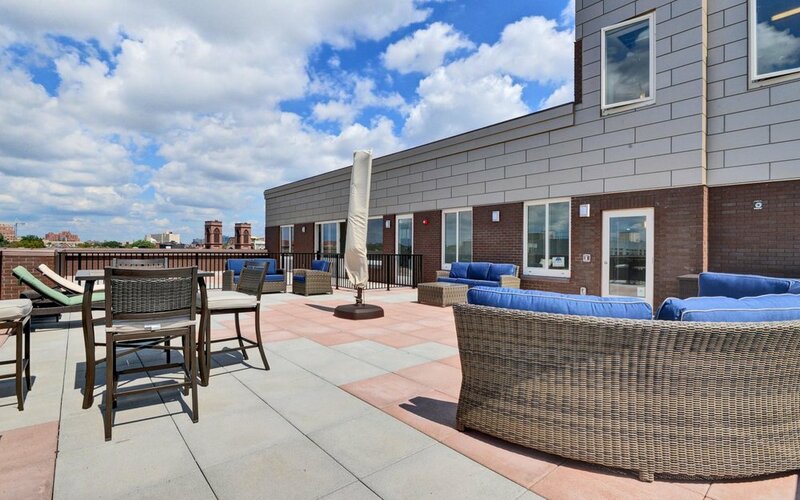 Studio apartments are available in various layouts, with or without private terrace, and begin at $1,850. Our 1 bedroom/1 bathroom floor plans are sure to please. Boasting an open floor plan — the kitchen, dining and living room create an expansive space customizable for your personal touch. These units have been outfitted with stainless steel appliances, in-unit washer/dryer, and in some floor plans - an outdoor terrace. 1 bedroom apartments are available in various layouts and begin at $2,400. 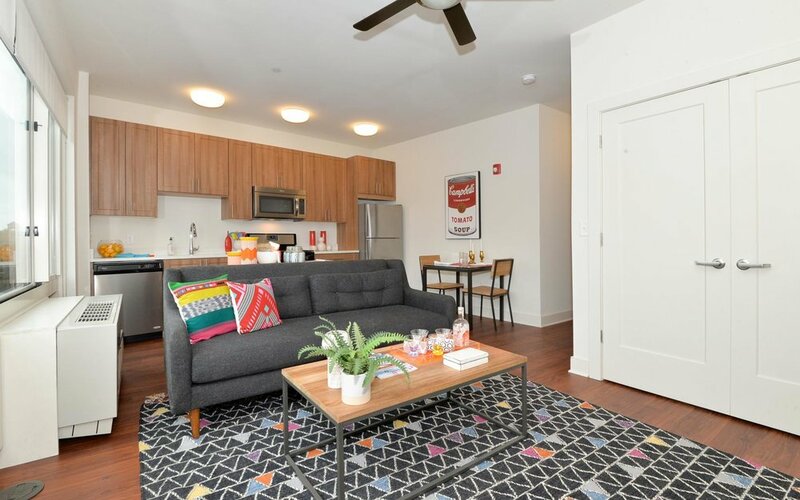 The generously sized 2 bedroom/2 bathroom apartments presents an open floor plan that creates a spacious and useful living space with access to the guest bathroom. The master bedroom features en suite bathroom, walk-in closet, and large window. The second bedroom has private access to the guest bathroom creating privacy and convenience. Topping off this apartment is the In-unit washer/dryer. 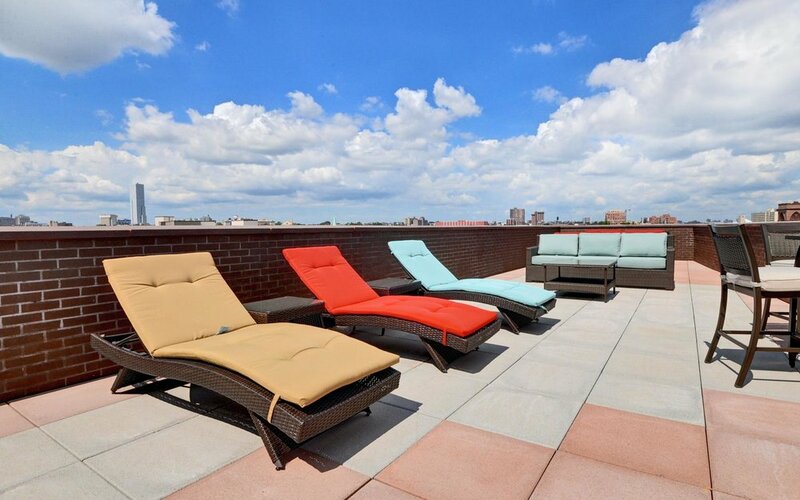 2 bedroom apartments are available in various layouts, with or without private terrace, and begin at $3,400.